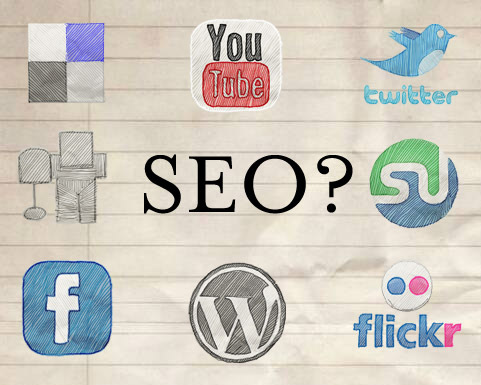 Today, social media and search engine optimization affect one another reciprocally. The social web has evolved greatly in the last few years altering the way online marketers operate. If you’re optimizing a website in order to rank higher, you can’t ignore social media. If you’re optimizing your website to be Search Engine friendly you obviously want to try and stay as updated on the way Google ranks content, even though it is a coveted secret. Google’s algorithms, which determine what content comes up from which keywords a user searches for, are clearly not public knowledge, but are often scrutinized by many in hopes of predicting their next move. Currently, social media acts as a wonderful means of getting tons of links to your blog posts, videos, photos, overall website and more, which is vital to any SEO campaign. It’s widely anticipated that Google will further alter its algorithms to include social media updates, even more so than they have in the past. Social media acts as a direct link between a business and the consumer. The consumer can quickly and easily leave direct feedback for all to see about their experience with the product or service within these channels, regardless of whether this feedback is good or bad. I believe that the sentiment of consumer feedback in social media, being either positive or negative, will begin to affect how certain websites rank in comparison to others. For example, if two e-commerce sites who both sell shoes were ranking for similar keywords, it would be another piece to the puzzle if they were ranking for positive consumer feedback in social media. Google loves to gauge the credibility of a website and what better a gauge than insights from the very people using the goods and services the website offers. Measuring sentiment in social media could make what you’re searching for online more relevant and in the end, the products you’re purchasing better quality. Google already has a world-class sentiment analysis system and plans to further alter these algorithms to come down on dishonest business practices. However, they still have a ways to go to completely implement this system, one of which is adding social media into the mix. Tweets have already begun to be included in news results, but when will the sentiment of these tweets bring good businesses higher and deceitful businesses lower? Having your brand active on multiple social media platforms often helps bring your company to the top of many brand specific searches, but when will the feedback by your customers affect these rankings? Time will certainly tell. By even announcing they have a sentiment analysis system, it brings more support for future inclusion of social media in search algorithms. Whether you’re selling fishing rods or magazines, focus your social media campaign on making your target audience happy and the lines of communication OPEN. Social media can help or hurt your business depending on how you use it, which is why it’s important to fully understand which channels you wish to focus your efforts on and what customers within those channels to speak to. By being specific in your social media efforts, providing quality customer service and having a worthwhile product, the sentiment you’ll receive will be mostly positive. Hopefully these positive reviews from customers through social media will be taken into account in search algorithms and help make the consumer the judge of the products and services they purchase and the websites they visit. If nothing else, recent incidents highlighting the unfortunate power of negative buzz and backlinks will hopefully be reversed.